How can we already be planning our valentines for 2017? Christmas flew by, I don’t even remember New Years being here and now I am up to my elbows in planning a few valentine creations. 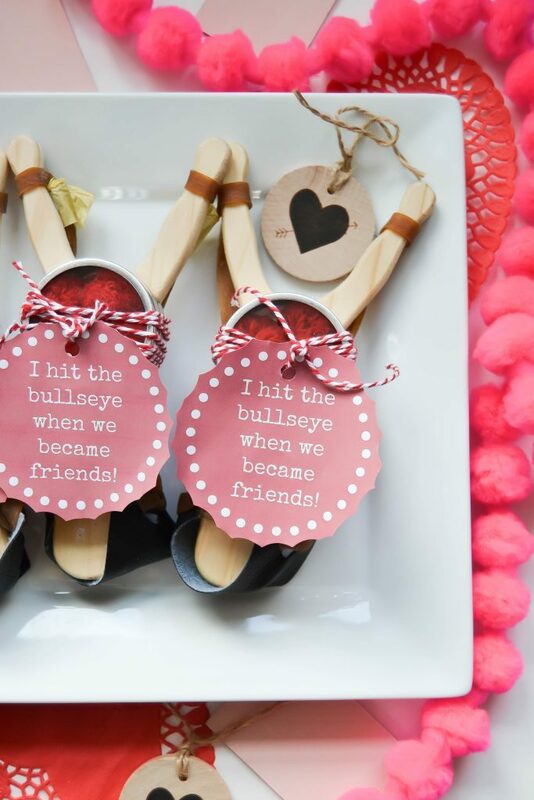 My daughter is still in elementary school and every year, we come up with creative ways to share a little love to her classmates on Valentine’s Day. 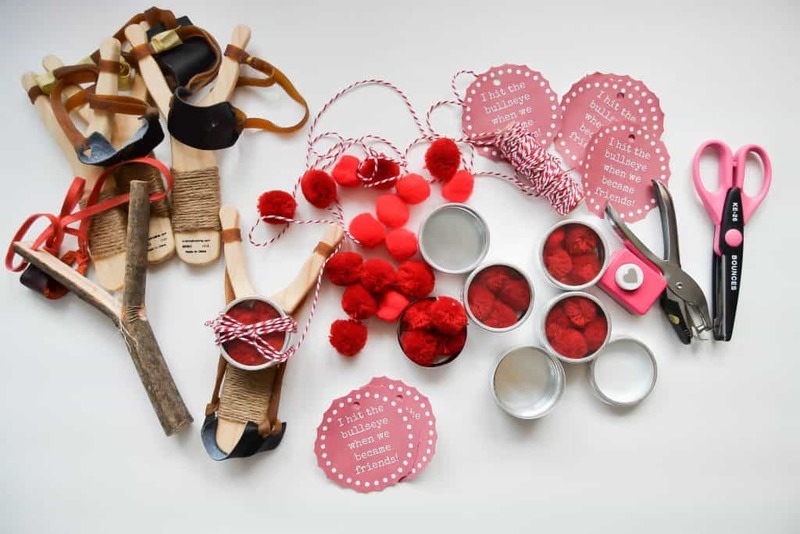 Today, I am bringing you valentine crafts for kids with this Sling Shot and Felt Ball Valentine and next week, I will be sharing what we made for her classmates last year. 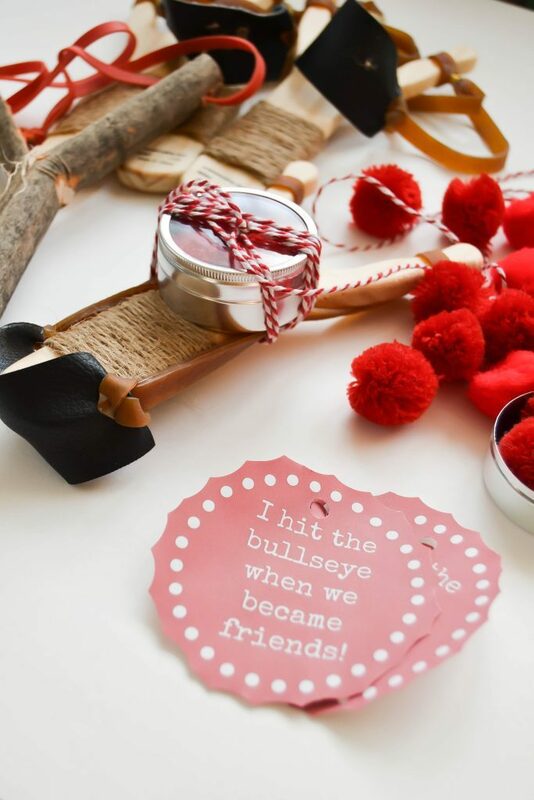 Valentine crafts for kids are so much fun and this idea came to me after seeing them in stores at Christmas. I thought they would be so much fun to make them into a valentine! 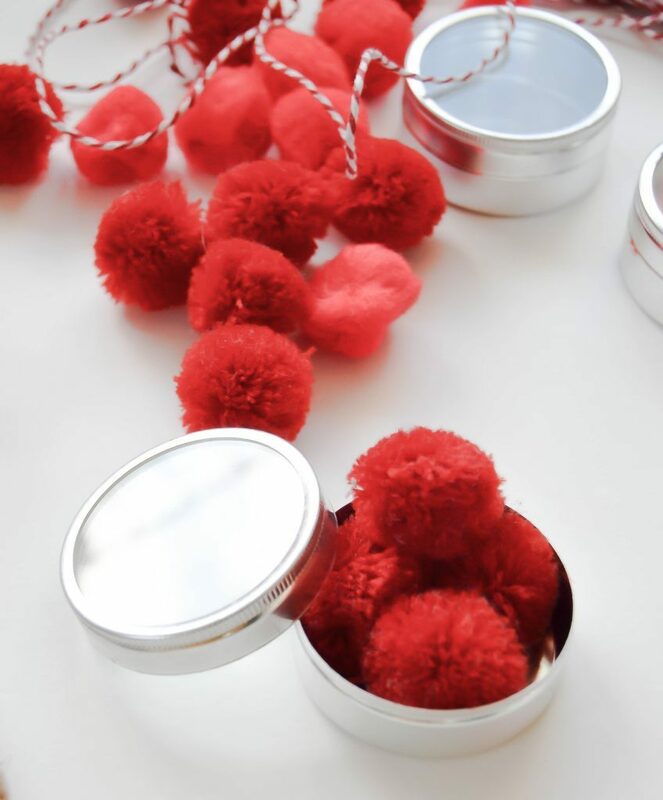 I got the sling shots, but I didn’t get felt balls because I had picked up a ton of red pom-poms on clearance after Christmas at Target. We used those instead. 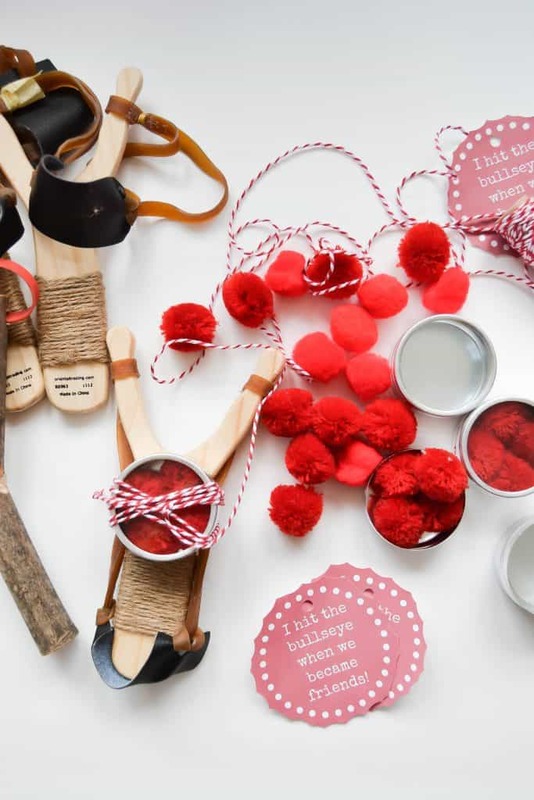 To put these valentine crafts for kids together, we put five red pom-poms in the round favor tin and set the tin on the middle of the wooden sling shot. Then, we wrapped red and white baker’s twine around the tin and sling shot a few times to hold the tin in place and tied it. Then, I made a fun little tag to tie to the red baker’s twine. 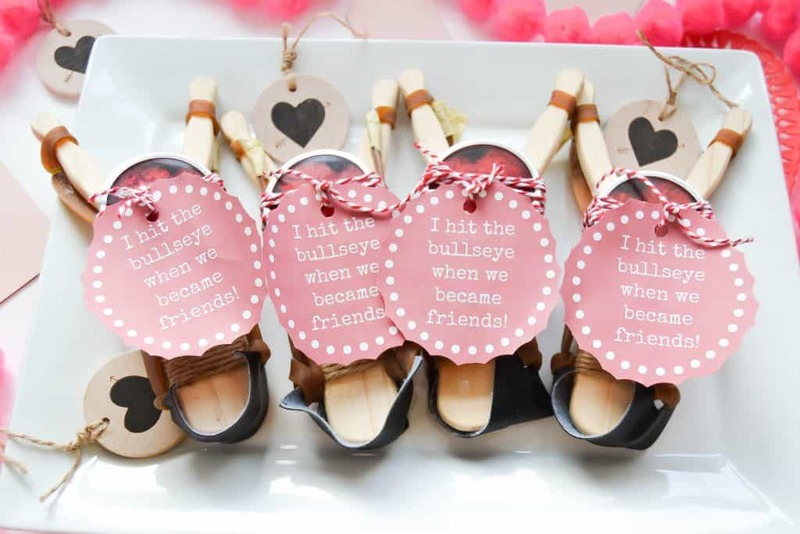 You can find this free printable in the “supplies list” above or here. 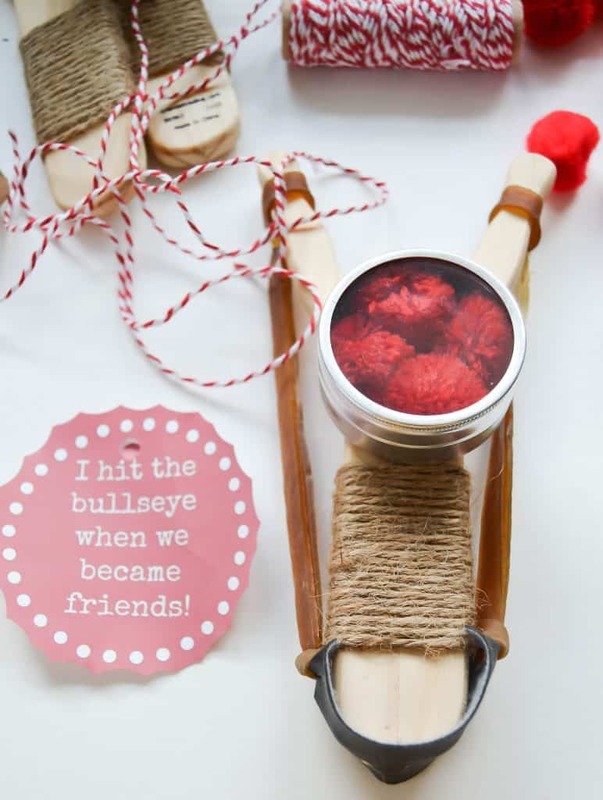 This Homemade Sling Shot and Felt Ball Valentine is a lot of fun. There is no candy involved and the kids are getting a classic toy in their valentine. What could be better? 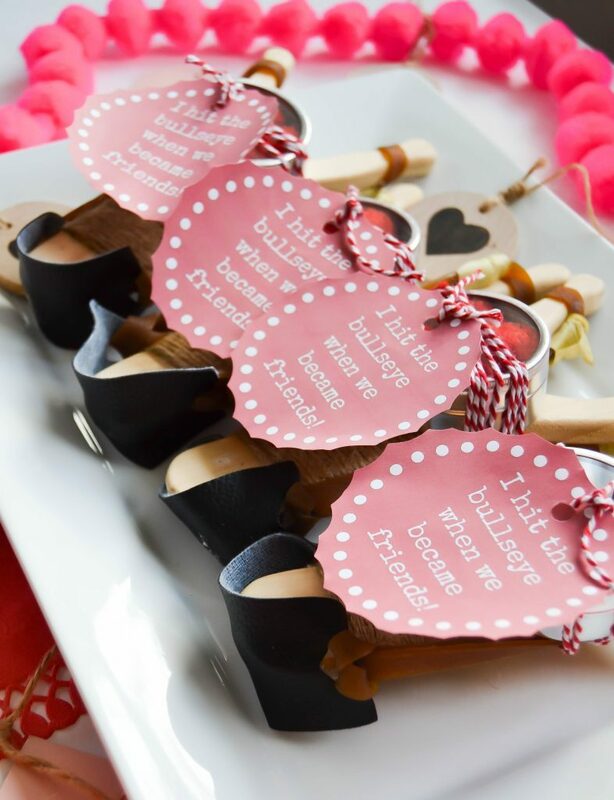 Are your kids planning their valentines already?